Hip, hip hooray! Clearly Besotted Stamps is 2 today! It's also release day too so we're celebrating in style with a good ol' blog hop full of inspiration and goodies for you to win! You should have hopped across here from my teamie, Michelle, but if you haven't then please start out at CBS HQ! I'm gonna keep things short and sweet for this post as there's plenty of hopping to be done and prizes to be won! Every blog on the hop has a £20 e-giftcard up for grabs so leave a comment below by 7th October and I'll randomly pick a winner! In addition to this, one randomly-selected comment from all the blogs will win the grand prize of a £100 e-giftcard! Right, it's time for you to get hopping to my most sweet and talented blogging friend - Laurie Willison! She's guaranteed to inspire you! HAPPY BIRTHDAY CB!! Fab stamps & card Aimes! Gorgeous clean, modern xmas card....love it!! Especially that green twine, it looks incredible. Really like the black and white. Love this - definitely perfect for chalkboard technique! Beautiful card, love the chalkboard effect! I love the chalkboard technique, it makes for a really modern take on a Christmas card. Love the details you put on. The sprig of holly, the clip and bow. I love the chalkboard style sentiment, I think I'll give it a go for my Christmas cards. Love the yellow holly leaves, and paper looks great. Your card is amazing Aimes and I love the chalk board effect. The peg finishes it off beautifully. These new stamps are really putting me in the Christmas spirit. I love your card; especially the candy cane stripes down the side!! So fantastic ! Very pretty cards for christmas ! Fun, cheerful and a chalkboard. Love! super cute card love the peg and the huge bow! Great card, Aimes! The chalkboard really sets off the red and white stripes. Just perfection! Love this card. I love the chalkboard sentiment look, too. The little clothespin is a fun touch to a great card. Thanks for the inspiration. Love your card Aimes and those little leaves are the finishing touch. Great card Amy love this sentiment. 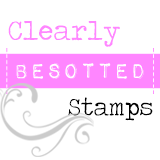 Love the new stamps and as always the blog hop :) I really like the contrast in your card! Love the chalkboard look and the pin on top, really makes it look traditional. The chalkboard technique looks great with this sentiment stamp and I like your card very much. The diagonal stripes and the sprig of holly look very good, too. like chalkboard look with your sentiment is fab! Hello Amy. What a wonderful card showing off Stephanie's great stamps. I hope she's had such a lovely time seeing what everyone has come up with. Congratulations to all concerned as it's been a fantastic hop. Can't wait till tonight. x Margaret Col.
Love this card! And congrats to Steph! Thanks for the opportunity! Very pretty. Really like the chalkboard look. What a fun card. So glad to have seen you on the hop! Love the Chalkboard look, beautiful card! A great card! Love that chalkboard look! Love the chalkboard holiday card. Thank you for sharing. Darling card...love the big bow !! I love the candy cane stripe...add just enough color! Beautiful! Congratulations on Clearly Besotted 2 year anniversary. nice card, TFS. This is beautiful! Love the chalkboard stamps and how you tied your twine! Always enjoy your cards - and the inspiration. Thanks! Fun cards. Thanks for sharing your talents! Traditional but modern. I love it! This would make a great teacher card for xmas...thank you for sharing! I really love this... great work! Congratulations CB - great way to celebrate, love the CB stamps, always so versatile and your cards show that. great design with the chalkboard background! love it!! So pretty, love the chalkboard effect! 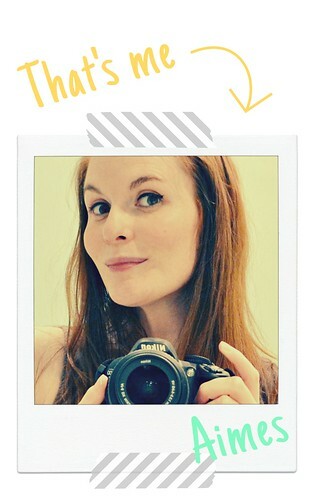 Love your card and really enjoying the blog hop. Getting lots of ideas and pins!! Love everything about this card. Just very fun!! Beautiful creation. Congrats to Clearly Besotted! Enjoyed the hop! A great release, and a growing wish list!! Thanks, and congratulations on two years! I agree -- that's a great stamp set. Enjoyed seeing how you used it. Thank you. Super card! Wondering how you get your twine to stay so beautifully positioned!! Love this card so fun! Beautiful job on the chalkboard look. thank you, the stamps are so nice! Super Cards! Wondering how you manage to get your twint to stay so beautifully positioned! Your chalkboard technique is A+ perfect! Great card! Love that sentiment too!!! Great holiday card....festive!! Great card with that chalkboard look. Such a lovely card, very well balanced, and I, too, love the new sentiment and the way you used it with the chalkboard technique! This is absolutely LOVELY, Amy! I adore the soft colors and how you used the chalk board effect! Brilliantly done! What a lovely card. The chalkboard sentiment looks so great. Just beautiful. Thank you for sharing you're great ideas. I just love the new release. Stripes and chalkboards -- 2 of my favorite trends!!! The clothespin and bow really finish it off nicely. Great work! I love this card! the chalkboard look is perfect with this stamp set! Congratulations on this pretty card. It's always a pleasure to visit your blog! This sentiment is perfect for the chalkboard technique. Love it! I love your card I am such a huge fan of the Chalkboard look and girl you so did one outstanding and creative job on your card. You really took this stamp to the next level. You are one super talented gal. YOU so ROCK!! You have just the right balance of color to go with your chalkboard! Bey pretty card! love the way you have embellished this card! Such a good use of this set - I love the chalkboard look. Love the chalk board look. So very cute! Love the design and colors. This is such a terrific sentiment for that chalkboard effect. Perfect with you striped background. Woot. Beautiful card. I love your extra little touches, the peg and bow and the little holly leaves. Just perfect! Love this sentiment and it really pops with the white on black. Cute card, thanks for the inspiration. Lovely card. Great sentiment. Love the chalkboard look a lot. Classic, clean design! Love the little clothespin addition! So cute with the clothespin! so cute! love the holly in the corner! Wow amazing card love the chalkboard look. Thanks for sharing. I've not tried this technique and I want to give it a go! What an elegant and fun card! The chalkboard look is so cute! love it! so festive and fun Amy! This is such a great release! Cute card! WOW! This is stunning Amy. Your design is so stylish and I love the colours. I think the sprig of holly really makes this card fabuliscious!! So pretty! TFS! This is a wonderful Christmas card, so striking! Lovely card and I really like the colour combinations. Makes me want to try something different. Love the clean lines on this card and the tiny clothes pin. Very pretty and this stamp is perfect for the chalkboard technique. Beautiful. Love the chalk board look. Fabulous hop CB. I have not tried chalkboard technique yet. Thanks for sharing. Beautiful card! I love the clothes pin! Great Christmas card! Thanks for the inspiration! I've not tried the chalkboard technique, but I'm definitely going to give it a try! Your card is just adorable. I love the tiny clothespin and holly leaves embellishment. Love the chalkboard technique and your strip of pattern paper really makes it pop! Such a pretty card! I love the sweet holly sprig. The chalkboard look is so wonderful. I have not mastered it...you do a terrific job! Love all the elements on the card. Great chalkboard card, love the touches of red and gold. Have a lovely day. Love this card! Very pretty! Beautiful card! Love that stamp set with subway art! It is so bold! And love your card which uses it so well! Love the white sentiment on black paper, red candy cane stripe down the side ...all with crisp white background....lovely!! Love the chalkboard, love the stripes, love the holly and LOVE the big green bow! Very nice! Thanks for the chance to win! How awesome! Love the LO! Just gorgeous! I love that chalkboard look you created. Cute Card. Love the subway sentiment with chalkboard style. Your simple yet stylish design really shows how great that stamp truly is. Lovely work. Lovely chalkboard panel Aimes, I love the mix of fonts and your cute little clip! I really love the effect of the blackboard. this card is stunning !! Loving the chalkboard card. Looks fab. Lovely card and thanks for you help yesterday. Thanks for th chance to win. a wonderful card..its a super release this month! I love your fun and trendy card! What a lovely CAS creation, Amy. And what a perfect bow. Like so many others I like the chalkboard look. Thank you . An absolutely sweet card! I love the the chalkboard look and the little clothes pin embellishment. I love the chalkboard technique for Christmas cards especially, and you're right: this set just calls for it! Beautiful work. You did a great job on the card. It's great. Cute!!! 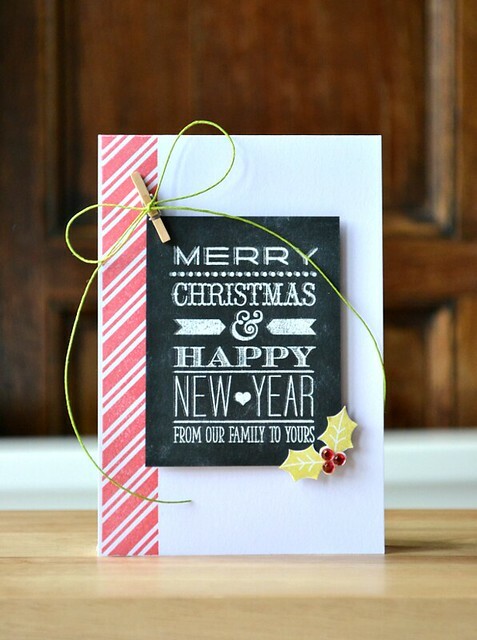 The little clothes pin is the perfect embellishment for this card!!! Gorgeous card love the chalkboard look. Gorgeous card I love the chalkboard look.